If you like practical yet pretty lighting beautifully finished with the finest quality materials and attention to detail, you’ll love this brand new collection from boutique Nordic lighting designer Ebb & Flow. 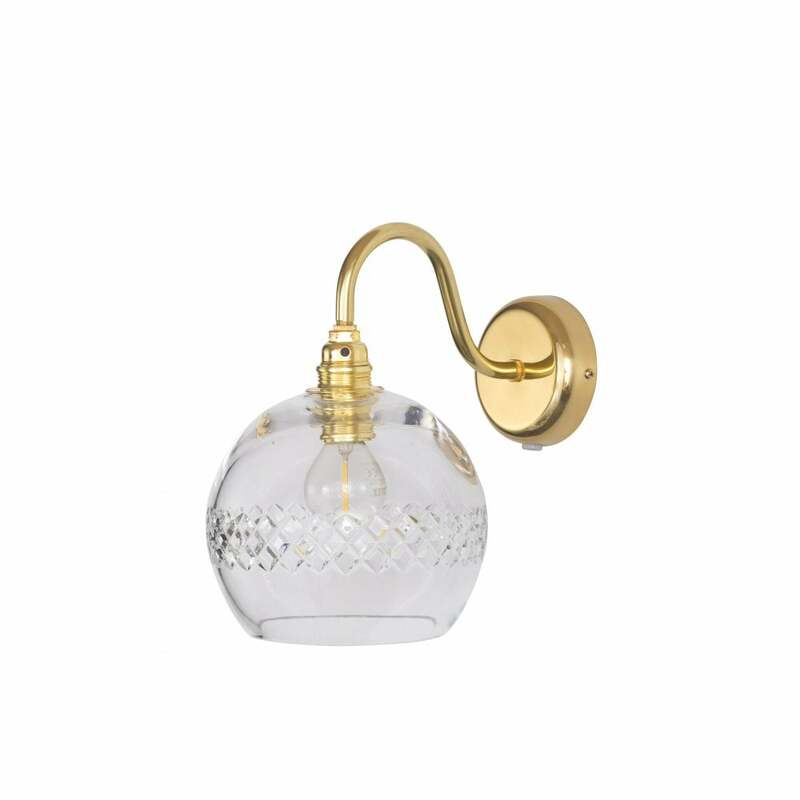 Following the success of the Rowan ceiling pendant designs, these vintage-inspired wall lights marry perfectly with modern and traditional interiors. Crafted from mouth blown crystal, a stunning array of intricate styles are available to suit any design or decor. Rowan’s gorgeous spherical shape and 15.5cm diameter ensure that light is evenly and beautifully distributed. Elegant curved gold and silver fittings complete the look. View All Ebb & Flow lighting for more information on Rowan or view the complete Rowan Collection.